The basic material for the Oyaide P-029 is brass. The surface of the P-029 is also thoroughly polished TWICE. For the body of the Oyaide P-029, Oyaide has chosen high density PBT, mixed with 30% glass filler. 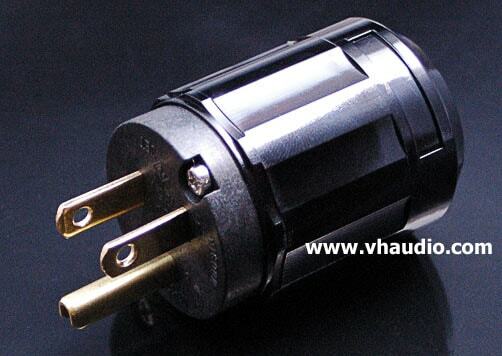 This combination was used to maximize rigidity, thermal stability and provide high resonance absorption. The outer shell is Polycarbonate. In our experience, and based on the feedback of our customers, the Oyaide P-029 male AC connector fits above entry level AC connectors.